Partial-wrap mount, glass door hinge with catch. 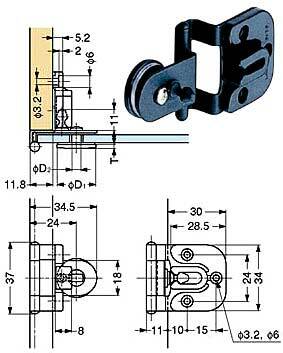 Hinge will hold door in closed position without secondary support. For glass thickness of 4-6mm. 304 stainless steel body, aluminum plate. Note: This product is also known as GHC-34/8/BLK on other websites.